The average life expectancy of a furnace is 16 to 20 years. Is your furnace this old or older? It’s probably time for a new one. And you don’t want to wait until it breaks down to start shopping. Has your furnace required a lot of repairs recently? That’s a strong sign that it needs to be replaced. 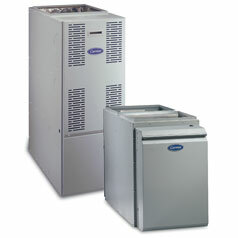 As they age, furnaces frequently lose their efficiency. This is especially true if they haven’t been maintained properly. Your furnace may have to run longer to provide the same amount of heat it used to. As a result, you’ll be paying higher gas and electric bills. If you’ve heard banging, rattling, or squealing noises coming from your furnace, they’re probably not normal sounds. Another bad sign is if you hear the furnace blower running excessively. Do you constantly have to adjust your thermostat to make your home or office more comfortable? Are some rooms too hot while others stay colder? If so, your furnace is not properly distributing air. As furnaces age, they can develop cracks in the heat exchanger, which can cause a carbon monoxide leak. If you or the people who share your home or office have experienced frequent headaches, nausea, or flu-like symptoms, this could be related to carbon monoxide. This is a very serious issue that needs to be addressed immediately. At Berico Heating and Air Conditioning, we believe that your home or business should be as comfortable as possible. And as we head into autumn, we know that comfort begins with the right heating system. Our goal is to help you find that heating system and also provide the quality and support you need. For nearly 100 years, the experts at Berico have been installing and replacing furnaces for the residents and businesses of Greensboro, Burlington, High Point, Eden and the surrounding North Carolina area.